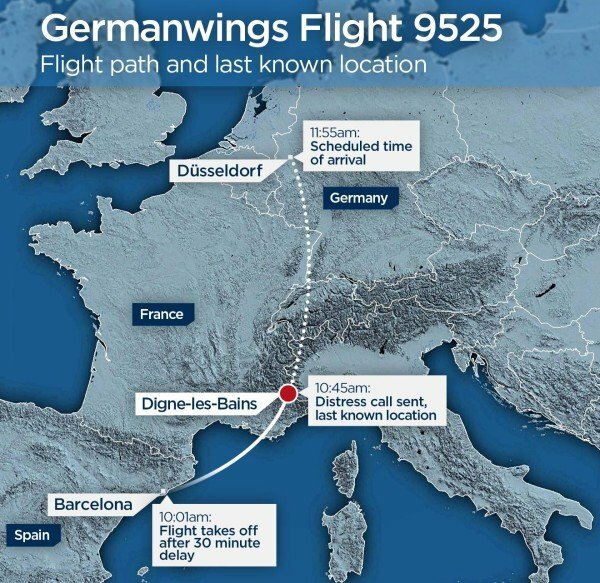 Sixteen German schoolchildren were onboard of Germanwings flight 4U 9525 that crashed in the French Alps on its way from Barcelona to Duesseldorf killing 150 people. The German school class was on its way back from an exchange trip. The plane crashed after an eight-minute descent, an official said. It is not clear if it sent a distress signal.